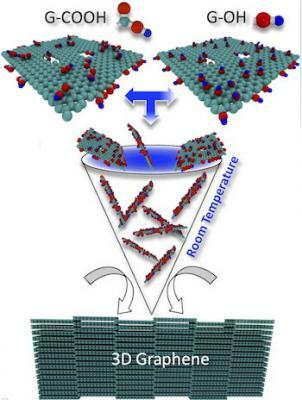 Researchers at Rice University have demonstrated the mechano-chemical assembly of functionalized graphene layers into 3D graphitic solids (“graphite pellets”) via room temperature and low energy consuming processing. The pellet material is reportedly stronger and lighter than commercial graphite electrodes and could be promising for electrical storage applications with high energy and power densities. The environmentally friendly, scalable process can be done in minutes by hand by grinding chemically modified graphene into a powder and using a hand-powered press to squeeze the powder into a solid pellet. The team demonstrated how to make a battery-sized pellet, but the graphene powders with chemical functionalities attached to it can be pressed into any form. They said the material could be suitable for structural, catalytic, electrochemical and electronic applications. 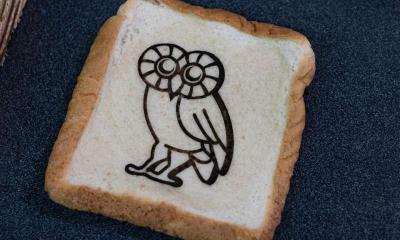 Scientists at Rice University have enhanced their formerly invented LIG technique to produce what may become a new class of edible electronics. The Rice lab of Prof. James Tour is investigating ways to write graphene patterns onto food and other materials to embed conductive identification tags and sensors into the products themselves. "This is not ink," Tour said. "This is taking the material itself and converting it into graphene". The process is an extension of the Tour lab's perception that anything with adequate carbon content can be turned into graphene. In recent years, the lab has developed and expanded upon its method to make graphene foam by using a commercial laser to transform the top layer of an inexpensive polymer film. Researchers from Rice University have discovered that nitrogen-doped carbon nanotubes or modified graphene nanoribbons could potentially replace platinum, one of the most expensive facets in fuel cells, for performing fast oxygen reduction—a crucial reaction that transforms chemical energy into electricity. The researchers used computer simulations to see how carbon nanomaterials can be improved for fuel-cell cathodes and discovered the atom-level mechanisms by which doped nanomaterials catalyze oxygen reduction reactions. 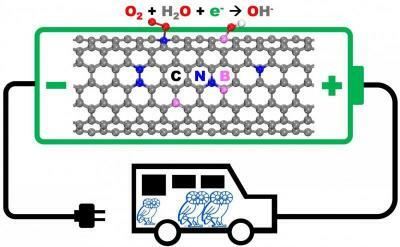 The simulations also revealed why graphene nanoribbons and carbon nanotubes modified with nitrogen and/or boron are so sluggish and how they can be improved. 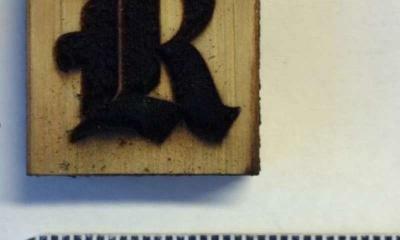 Researchers from Rice University have transformed wood into an electrical conductor by turning its surface into graphene. The team used its LIG technique to blacken a thin film pattern onto a block of pine. Previous work with LIG included heating the surface of a sheet of polyimide, an inexpensive plastic, with a laser. Rather than a flat sheet of hexagonal carbon atoms, LIG is a foam of graphene sheets with one edge attached to the underlying surface and chemically active edges exposed to the air.